The South Korean firm said it had set out to address past "missteps", and had codenamed the devices "project zero" to reflect the need for a rethink. Even so, one expert praised the company's choices. 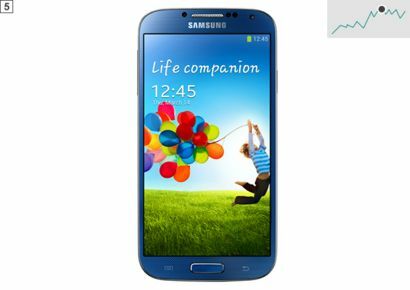 "Samsung has clearly listened to feedback - not just for the Galaxy S5, which just missed the mark last year costing the company greatly - but also the S4, which was a product that tried to cram in every piece of technology it could find," said Ben Wood, head of research at the CCS Insight tech consultancy. "The software has been made into a much more crisp and clear experience, the design of the product has clean lines and looks very nice, and the marketing campaign is expected to only pinpoint three things - and that's certainly something that had been missing from Samsung's products for quite some time." Others were more critical. Rob Kerr, from the price comparison site uswitch.com, declared: "The dual-curved display just seems too gimmicky, too niche, to really be a crowd pleaser." The first is called People Edge, which provides a quick way to bring up calls, texts and other messages from five acquaintances of the owner's choosing. Each person is assigned a different colour, which the phone's edge flashes when it rings, providing a hint of the caller's identity even if the device is face down. It appears Samsung has deliberately kept the functionality more basic than on its Galaxy Note Edge - a larger handset whose screen curves only around one of its sides. The older phone uses the extra space to both run apps of its its own and to add controls to other apps. The S6 phone's front camera has been upgraded to five megapixels, while the rear one stays at 16MP. The firm is claiming a "world first" by embedding support for both the PMA and WPC's Qi wireless charging standards. A lot is resting on the phones' appeal. Samsung's head of mobile design was moved from his role in May after criticism of the Galaxy S5's styling, and last week Samsung Electronics announced it would freeze its workers' wages for the first time in six years following a drop in its annual profits. But it barely saw its total smartphone shipments grow in 2014. By contrast, Apple's decision to make its iPhone 6 models larger and the continued rise of China's Xiaomi, Lenovo and Huawei saw those firms report much bigger gains. 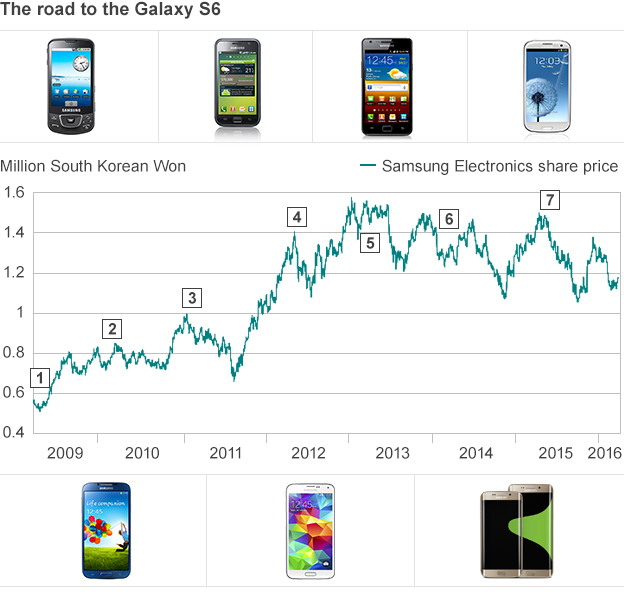 As a result, Samsung's market share slipped from 31% in 2013 to 24.5% last year, according to research firm IDC. "In a sea of sameness where nearly every smartphone is a rectangular touchscreen with a camera in the back, this will stand out," he said. "It may be outside many people's budgets, but it will still act as a signature product that attracts people to the rest of Samsung's range." 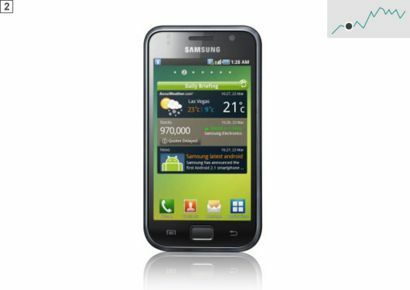 Samsung’s first Android-powered phone ran version 1.5 (Cupcake) of Google’s mobile operating system. It had a 3.2in (8.1cm) screen and was the first Android phone to include a 3.5mm headphone jack, allowing normal headphones to be easily connected. 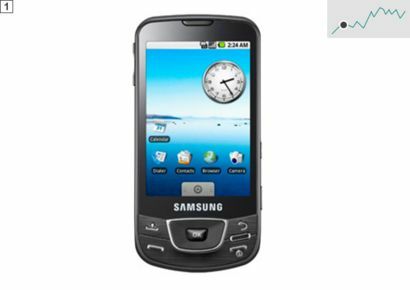 The first of Samsung’s S-branded series had a 4in (10.2cm) screen, ran Android 2.1 (Eclair) and could shoot video in 720p high definition. A 4G variant of the device attracted the ire of Apple’s lawyers, and became part of a high-profile patent case fought by the two rivals. The S2 was marketed as the world’s thinnest smartphone, measuring less than 8.5mm (0.33in) thick. 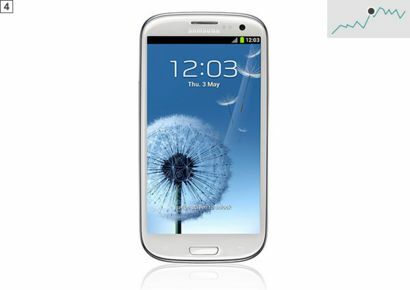 It had a 4.3in (10.9cm) screen and was powered by Android 2.3 (Gingerbread). Samsung promoted the “zero lag” shutter speed of its main camera as being suitable for snapping fast-moving objects. 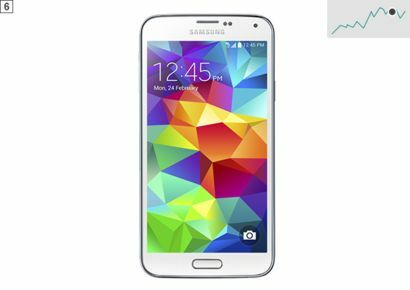 The S3 used eye-tracking software to detect when it was being looked at, keeping its screen bright until its owner turned away. It had a 4.8in (12.cm) screen and ran Android 4.0.4 (Ice Cream Sandwich). 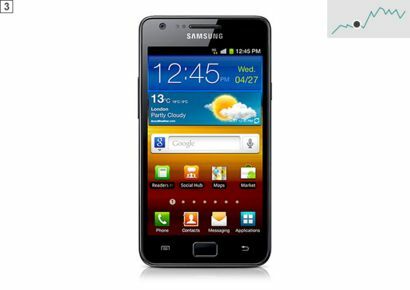 The phone also introduced S-Beam, a way to send files and contacts between Samsung handsets. The S4 bordered on “phablet” status with a 5in (12.7cm) touchscreen, which could be used while wearing gloves. Running Android 4.2.2 (Jelly Bean) it introduced a dual-video capture mode, allowing users to record footage from both cameras simultaneously. The S5 added dust and water resistance, promising to work after being submerged 3ft (0.9m) deep. It came pre-installed with Android 4.4.2 (KitKat) and introduced a fingerprint scanner and heart rate monitor. Samsung promoted its “ultra power saving mode”, which let the device eke out a day of life when its battery fell below 10%. Samsung launched two models of its flagship phone – the Edge version had a screen that curved round its sides and was more expensive. The phones had brighter, more detailed screens than before, and supported the firm’s new smart wallet service Samsung Pay. 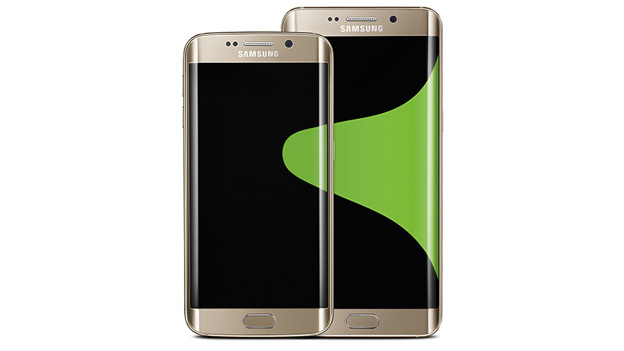 However, their metal frames and glass-backed designs led to some of the S5’s features being jettisoned, including water resistance and the microSD slot. That's the takeaway from Samsung's latest Unpacked event where it unveiled the next Galaxy phone, the S6. Sleek and powerful, certainly - but it was a fairly bitter presentation. The firm took more than a few snipes at Apple, rather than leaving it to reviewers and users to draw their own conclusions about the Galaxy's many innovations . Tellingly, there was no mention of China's Xiaomi - a company whose Android handsets have proved wildly popular in Asia, and which potentially presents a far bigger threat to Samsung's future. You can follow Dave at MWC via his Twitter account @daveleeBBC.